Please click the button at the right if you live in Los Angeles County. Los Angeles County has a different ballot and voting instructions. Please use the following diagrams when voting in Ventura County either by mail or at the polls. 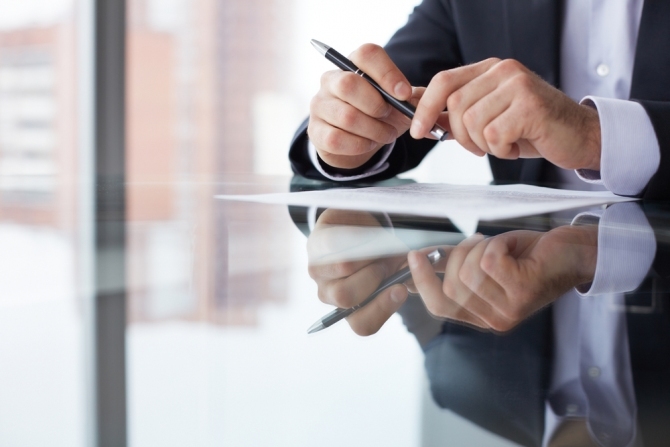 The place for write-in candidates is directly on the ballot. Click the button below to view a sample Ventura County Ballot in pdf format. It is for illustration purposes only. To vote you will need an official ballot supplied by the Ventura County Registrar Recorder. Please DO NOT fill in the arrow on the ballot for Jerome Horton. Notice the blank space below Jerome Horton's name. 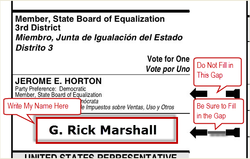 Vote for me, G. Rick Marshall, by writing in the blank box below Jerome Horton's name. If you fill-in the arrow for both Jerome Horton, write-in G. Rick Marshall and fill-in that arrow as well, your ballot will be over voted in that office and will be rejected. 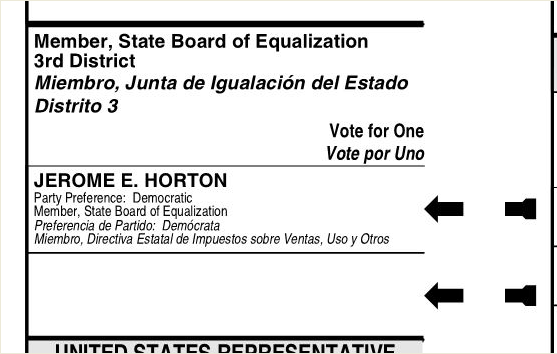 Don't fill in the arrow for Jerome Horton on the ballot for Member, State Board of Equalization, 3rd District. Ventura County has specific ballot drop off locations that will accept a vote by mail ballot. You can download a list here.